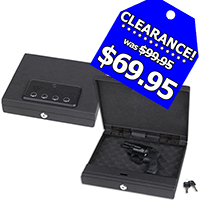 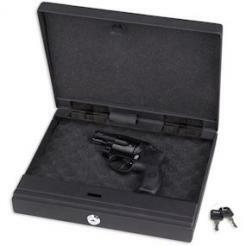 The Bulldog Magnum digital pistol vault is a great way to keep your pistol safe and secure, yet still be able to get to it quickly. 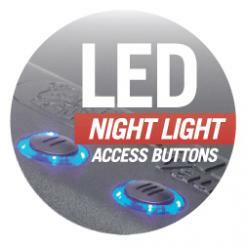 It features nightlight LED access buttons and an interior LED light that stays on for 30 seconds when the case is opened. 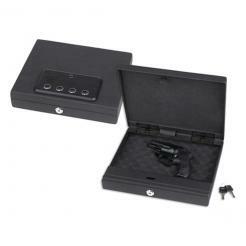 The audible sound of the buttons can be muted. 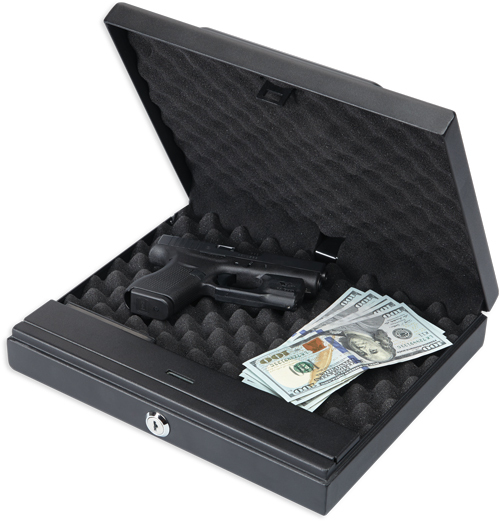 Thick egg crate padding protects your firearm's finish. 11.5" x 9.5" x 2.5"